Graphene has become a well-known material, and its remarkable properties are attracting many R&D efforts across all sorts of applications and industries. Graphene is the world's strongest, thinnest and most conductive material, with fascinating thermal properties. However, despite graphene's massive potential, bringing it out of the lab and into real-world products is not without its challenges, and there are quite a few things to be aware of when attempting to make such a move. This article will touch upon the major issues one should take into account when considering the use of graphene in any form of product. It is the result of repeated interactions with researchers and companies working on graphene applications. In theory, graphene is a material unlike any other, with properties that can fill the pages of science-fiction novels. The significant amount of lab work that has taken place in recent decades shows that graphene is truly amazing, and incredible things have been achieved using it. But one must remember that laboratory conditions allow for meticulous, time-consuming projects, use of best-quality materials and limited reproducibility. While achieving a prototype through a costly and laborious process is definitely an important stage, crucial for understanding the abilities and potential of using the material and creating awareness, it is still different than actual commercialization of the material. Industrial processes need to be as low-cost as possible in order to be viable; processes have to be scalable and results must be consistent, along with a whole line of other demands that must be met. Not all of these requirements have been achieved when it comes to graphene, and additional work remains before massive commercialization can take place. When contemplating a graphene-related project, one must avoid unrealistic expectations regarding instant success, ease of use or presence of ready-made materials or processes to exactly fit the bill of what is under development. Graphene is a versatile material that comes in many forms. Each form can have very different properties and characteristics; Some forms of graphene can be electrically conductive, for example, while others complete insulators. These will naturally benefit different types of products. In addition, many graphene producers exist, and there is a large variability between them - each company chooses its own production process, uses different materials and its end result may vary greatly in quality and properties. Given the diverse range of graphene materials, an effort to standardize the definition of different types of graphene is vital. The lack of standardization contributes to the above-mentioned situation in which no real coherence exists and confusion is created, which can be detrimental to commercialization efforts. Standardization will accelerate the process of adoption and commercialization of graphene by reassuring potential developers about the nature and quality of these materials. But until these efforts bear fruit, it remains vital, before deciding on a specific graphene form and supplier, to do some research to determine the best fit for the parameters that benefit the specific application under development. Many graphene R&D attempts fail due to random choice of material/supplier, which naturally yields poor results. Not all graphenes are born equal: Even after doing the research, deciding on the right type of graphene material and choosing a suitable producer, one can still end up with a non-consistent graphene in his hands. What not many graphene suppliers will tell you, is that (even after going over the datasheets), graphene materials often vary intrinsically. This is not due to fraudery on the supplier's part, but rather to the fact that graphene production processes are still not totally perfected yet. But even as these progress, intrinsic variations will probably be there (as is the case with many other materials and even end products). The right choice of path is to understand this fact and try to evaluate both the variations of the material and the range of variation that your design can withstand. These factors, too often disregarded, can be crucial in determining cost, availability and even viability of graphene integration, and should definitely be taken into account when contemplating the use of graphene in R&D efforts. 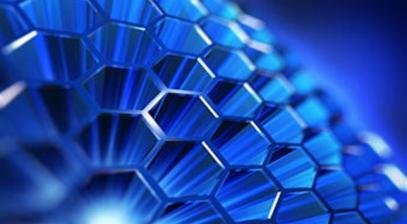 Different types of graphene materials have varying sensitivities to storage and transport conditions. While graphene sheets, or films, are laid onto substrates and also stored and shipped that way, they are usually less prone to damages. Graphene that comes in flakes or platelets requires a decision on whether to handle in wet or dry form, which will affect costs and complexity of distribution. For example, pastes can be cheaper than ready-made dispersions that are heavier - the dispersions can be very diluted and so weigh much more than pastes - making the shipping expensive. Distributing large volumes of graphene as a dry powder can sometimes be impractical, in part because many manufacturers do not allow dry nanomaterial powders handling because of health and safety concerns. One should be aware of these issues and decide on the right sort of storage and shipping method for his operation. Graphene is a lattice of carbon atoms. Since carbon is an extremely ubiquitous element in nature, it stands to reason that graphene will be very moderately priced. However, several reasons, among which are nascent manufacturing methods and limited production volumes, have caused graphene's prices to be rather high. Costs seem to be coming down considerably with time, but the initial material cost is still high. This is, naturally, an important factor to be aware of when planning a graphene-related project. Graphene is exciting researchers and companies all over the world, and it seems that nobody wants to be left out of the race to develop actual, real-world graphene applications. Graphene research is indeed progressing and initial-stage products, like sports equipment and intermediary products (coatings, 3D printing materials) are starting to hit the market. But the graphene commercialization is still far from being achieved. When striving to use graphene, it is important to understand that such development initiatives are more like marathons than sprints; They are usually long, elaborate processes that entail quite a bit of lab work, time and funds. Companies that just want to enjoy the graphene “buzz” and make a fast profit - should perhaps rethink their project. Who thinks its possible to manufacture solid objects that are seen with the naked eye with TPa tensile strength. 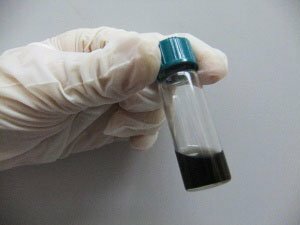 As of now graphene platelets reach that strength but no macroscopic sold material comes close.